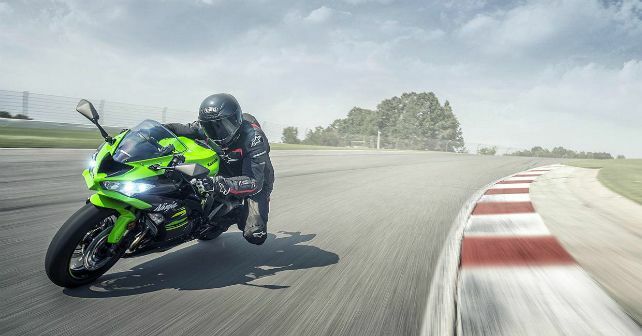 Bookings for the new Kawasaki ZX-6R had begun in October, deliveries are likely to begin in February 2019. Kawasaki is going all out in the Indian market. While they already have a wide enough product portfolio, they don’t seem to be wanting to stop. The latest entrant in the Kawasaki India range is the ZX-6R. The Japanese bike maker announced its launch and opened it for bookings in October 2018. They have now officially launched the motorcycle at an introductory price of Rs 10.49 lakh (ex-showroom). While they haven’t announced for how long the introductory price will remain, the official statement reveals a ‘significant change in price is imminent’. Deliveries of the new ZX-6R are expected to begin in February. Kawasaki has recently updated the ZX-6R for the global market, the Indian market gets the same version too. In line with the current trends, this one comes with KIBS (Kawasaki Intelligent anti-lock Brake System), KTRC (Kawasaki Traction Control), KQS (Kawasaki Quick Shifter), a twin-LED headlamp unit and more. Kawasaki hasn’t changed the powertrain from the previous model. It continues with the 636cc inline four-cylinder motor. The 6-speed transmission pushes all of 128bhp to the rear wheel. Max torque stands at 70.8Nm. The ZX-6R doesn’t quite have a direct competitor in India. Kawasaki will be producing the ZX-6R locally, but only limited numbers will be made in the first batch.